In most cases, bubbles are present in beads sintered from powder glass. Bubbles are known to have a deleterious effect on insulation, which is the fundamental reason for using the beads. We have sintered the glass beads for matching seals in high density conditions, and these have been given a high rating by customers. However, with the recent trend toward seeking high-quality products at reduced cost, we have received more and more requests from customers to produce "compressed sealing glass without bubbles". After years of trial and error, by re-examining the product from the initial process (the treatment of powdered glass), we have succeeded in producing a form of high-density compressed sealing glass. 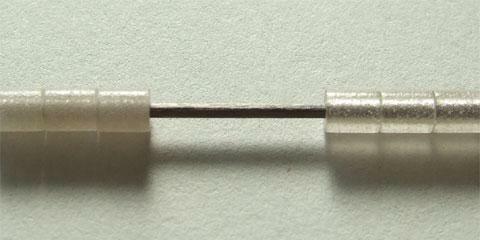 Two glass beads of different types with the lead inserted through the beads. 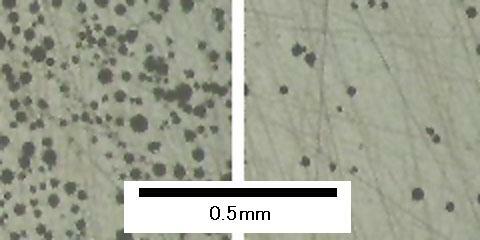 Cross section of melted glass beads (dark spots are bubbles). Both photos show the difference between the two types of glass bead: the glass bead on the left is the traditional product, and the one on the right is the up-to-date high-density compressed glass bead, which is transparent and nearly bubble-free. We have engaged in certain environmental measures, such as obtaining ISO14001 in response to the recent environmental problems. We are taking additional measures to cut electric power consumption, in consideration of the problem of electric power shortages during times when nuclear power plants are out of operation. 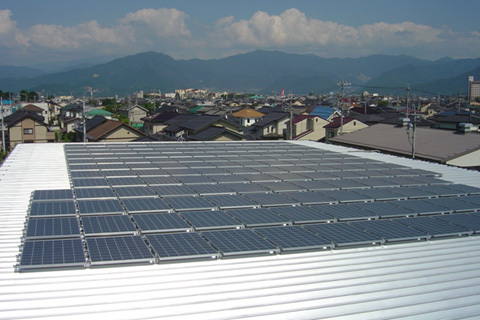 With society facing such a situation, we have deployed solar-power generation using in-house solar panels as well as a system to monitor electric power consumption. These new systems have enabled us to reduce the amount of our power consumption during peak hours by more than 5%. For a special reason, we were delighted to hear this wonderful news. 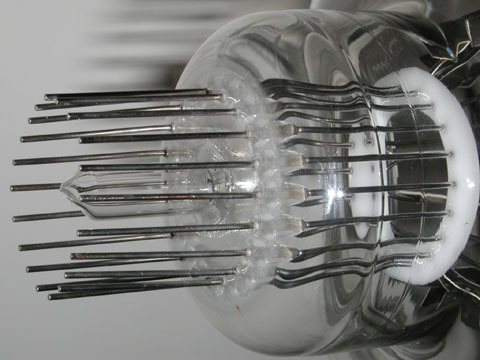 We produce glass stems used for photomultipliers. 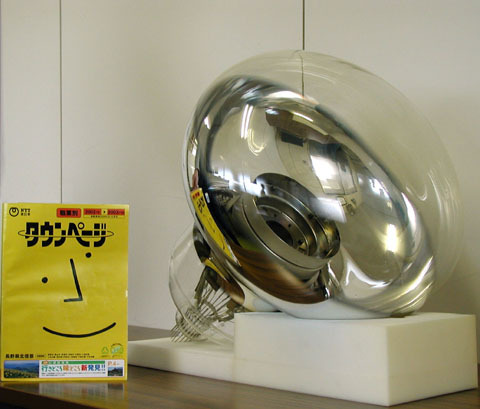 One of our previous achievements was the fabrication of the stems of 20-inch photomultipliers used in the Super-Kamiokande Neutrino Detector located in Kamioka, Gifu Prefecture. 20 years have passed since neutrinos produced by a supernova explosion in the Great Magellanic Cloud were detected in February 1987. From a time well before this historic event, and without interruption to the present day, our products have been used in diverse ways in a variety of components of many different devices. Most of them are small and inconspicuous; however, we are confident that the fact that our products have aided in the study of neutrinos, an endeavor which has brought our country the Nobel Prize, has given all the members of our company great encouragement to work to their highest potential. Copyright©2009-2013 CHOYO Corporation. All Rights Reserved.